Much has been made of the first trailer for the upcoming Assassin’s Creed movie, and whether the video game-style fights, Kanye West’s music and the whole Assassin’s Creed premise will work well in Ubisoft’s upcoming movie. 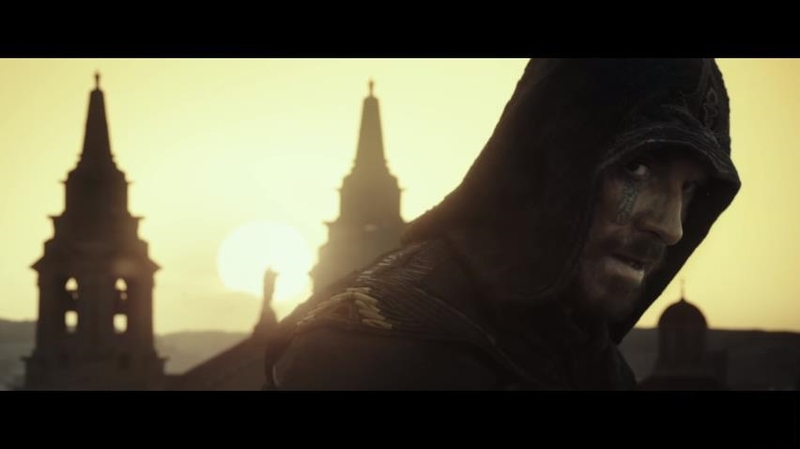 And while the trailer shows that the movie’s producers are at least being true to the style and atmosphere of the Assassin’s Creed video games, it remains to be seen whether this movie will be able to break the video game curse or not. One thing that’s slightly worrying about the upcoming Assassin’s Creed is that according to executive producer Pat Crowley, the film will mostly take place in the present day, unlike the games which were mostly set in diverse historical periods. For instance, in the Assassin’s Creed II video game players were in control of protagonist Ezio Auditore in the Italian Renaissance for most of the game, only taking control of his modern day counterpart Desmond Miles in a few sequences, which truth be told were not the highlight of the game. Will the present day story in Assassin’s Creed be better than that of the video games? Actually Assassin’s Creed II was at its best in its historical setting, and running on rooftops, climbing monuments and performing the leap of faith while following Ezio’s story in Renaissance Italy was truly a blast. The same is true of the movie’s trailer, with the historical bits set at the time of the Spanish Inquisition looking terrific, and Michael Fassbender character Aguilar’s leap of faith from a cathedral tower at the end being a sight to behold. And like in the video games, the modern bits taking place in the sinister corporation known as Abstergo are not that exciting, looking more like an average sci-fi flick, although both Michael Fassbender and actress Marion Cotillard appear to handle their roles pretty well. It remains to be seen then, whether an Assassin’s Creed set mostly in the present day will be as exciting to watch, as the main draw of the video games always was being able to enjoy the sights and sounds of another time and place, with the present day sequences in Assassin’s Creed always being the weak link.